As we launch the application process for the new NHS Assembly, I have been reflecting on the learning and achievements from the Empowering People and Communities Taskforce, one of the influences behind the new NHS Assembly. As a 12-month time-limited Taskforce that reported directly to the NHS England Board, the vision was for a renewed and inclusive partnership with people, patients and our voluntary and community sector partners. This relationship has helped us, in the words of one member, “question the way things are done and be curious enough to inspire change”. With Chair Victor Adebowale playing a vital role, the Taskforce has given us invaluable insight about what’s working in our national programmes of work and what we need to do better, plus it has helped us to engage the voluntary sector, NHS volunteers, community groups, patients and public in designing some of the ambitions set out in the new NHS Long Term Plan. Over the past year, the Empowering People and Communities Taskforce has been instrumental in helping understand how we can engage in a different way. Through the Taskforce, we have worked collaboratively with people, patients and the VCSE sector through six issue-based workshops. With over 200 people sharing their experiences and giving the advice and insight, many of their ideas helped shape the future delivery of NHS England’s national programmes. The conversations went further, enabling over 1000 more people to feed ideas in through social media. With sight of what is happening on the ground, national programmes including Cancer, Mental Health, Patient Experience, Personalised Care, Frailty and Digital have introduced improvements based on these insights. For example, the Personalised Care workshop inspired the development of a dedicated section on health inequalities in Universal Personalised Care, which sets out how the NHS Long Term Plan commitments for personalised care will be delivered. The Frailty workshop led to a clarification in our understanding of what frailty means, with recognition that there are many people who are frail who are not elderly. This influenced the approach taken in the Long-Term Plan. The Taskforce has consistently provided strong evidence about how NHS England should meet the needs of our diverse neighbours and communities. Together we focused in each of our improvement programmes on people most in need of support, citizens who are marginalised and often overlooked in conversations.The Taskforce has shown how we can increase co-production and include a wider range of people and organisations by developing a strong partnership with the voluntary sector. The Taskforce also raised the profile of health inequalities with our Board who gave this a strong focus within the Long Term Plan and highlighted a need for deeper engagement with seldom-heard voices on an ongoing basis. In addition to all this, it has supported the adoption of good practice for community sector engagement by developing the Principles of Engagement, which set out how NHS England intends to work inclusively with the voluntary and community sector. And we developed an innovative public participation dashboard, which provides us with a snapshot of how patients and the public are being involved across NHS England and within CCGs. This increases transparency and helps ensure we are meeting our legal duties to involve patients and the public. The baton now passes to the new NHS Assembly, which I hope will build on the Taskforce’s insights and develop them further. If you had the opportunity to participate in the Taskforce activities and want to do more then please put yourself forward for membership of the Assembly. And if you haven’t got involved yet – then this is your chance. The Long Term Plan is an exciting opportunity for the NHS but we need your help to shape the ambitions so that we can get it right for the diverse people and communities we serve. Dr Neil Churchill is Director for Experience, Participation and Equalities at NHS England. His brief includes insight and feedback, patient participation in decision-making, improvement programmes on cancer, learning disability and support for carers and national partnerships with volunteers and the voluntary sector. Neil joined NHS England in 2013 after a 25 year career in the voluntary sector at organisations including Barnardo’s, Age Concern, Crisis and Asthma UK. He has been a Non-Executive Director for NHS South of England, an appointed member of the National Information Governance Board and a trustee of a number of charities across the UK. 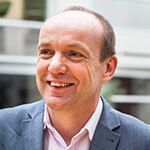 Neil is a member of the Executive Board for the Beryl Institute, a change agent from the School for Change Agents and a member of Q, the quality improvement collaborative from the Health Foundation. He tweets as @neilgchurchill.